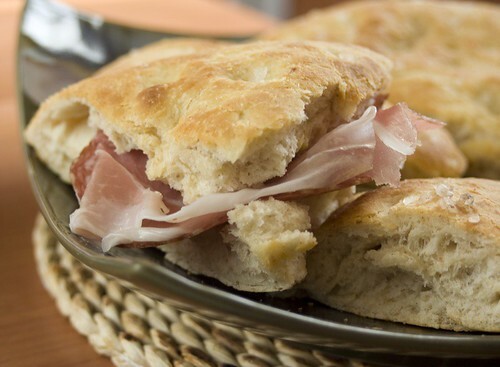 Warm focaccia filled with Parma Prosciutto: to die for!!! But then I remembered that once, the mother of one of my former boyfriends, told me that she was adding a boiled potato to the normal pizza dough, to make it fluffier… And her pizza was one of the best home made pizza I’ve ever tried!!! So, here we are with this amazing potato bread! Flour: the recipe was calling for all-purpose flour, suggesting to use an organic one, so I did. Not any fancy big name organic flour, just the Esselunga (the most widespread supermarket chain in northern Italy) organic all-purpose flour. And then for the whole-grain, yet again Esselunga organic whole-grain flour. Of course if “normal people” would read this last sentence they would rather think I’m completely crazy, but all my fellow Daring Bakers would absolutely agree with me: kneading is good for mind and soul! And I have to say that this recipe, especially the quantities, are just perfect! I haven’t use a single gram more of the indicated flour! Sara, I could not agree with you more. I too find that kneading is so good and therapeutic for ones mind. Your selection looks incredible! mmmmm bread looking good! It looks like you enjoyed this one…. I agree—kneading is such great therapy! Your breads look delicious, great challenge. Everything looks so good! I love the quiet time kneading provides. It allows one to think for a bit. It’s been fun recently, seeing everyone’s take on Potato bread. Yours looks great either side a slice of good Ham. 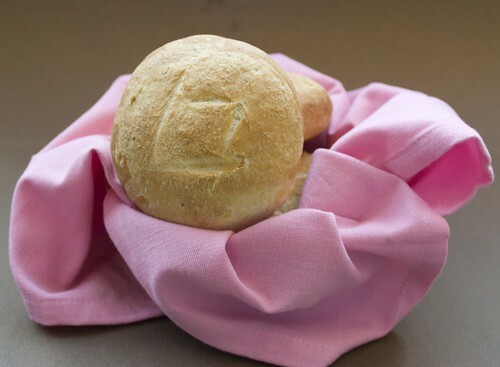 Kneading is usually therapeutic, except for when the dough will just not behave! Mine was so sticky I couldn’t seem to get it into any sort of rhythm. Great job – your breads look wonderful. I wish my kneading process was a little more therapeutic like yours. your breads are beautiful! I think I will try adding some potato to the pizza dough the next time I make pizza and see if it’s fluffier. Man, I must be missing the kneading gene, bc it still worries me. I never know if Im doing it right, if the dough is done, etc.. However, your a pro! All of your bread came out gorgeous. Great job! Mamma mia, Sara! Che pane! I love how “secretive” you were … it’s funny how we all have our little baking secrets. The focaccia with Parma Prosciutto looks awesome! Just what I need right now! See potato bread can be special after all. They all look so good!! Especially that foccacia with the Parma Prosciutto. Sara, you did the challenge great justice by producing such tempting breads They all look beautiful! Oh and parma prosciutto sandwich sounds incredible! I concur, kneading is often the best part of the bread making process. I just need to remember that (and buy another freezer… Or make more friends!). 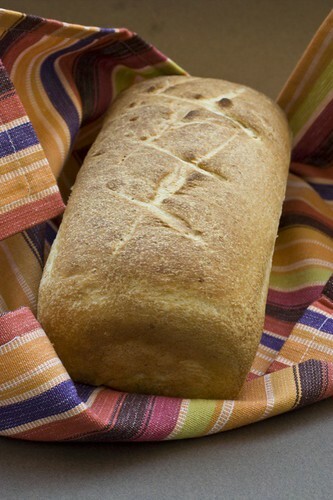 Your loaves, rolls, and focaccia all look beautiful and the focaccia sandwich must have tasted great! You did a beautiful job on your bread. Your rolls have a lovely crunchy crust. It’s all about perspective…you live in Italy and you fancy shopping in France? Aiaiai! From my point of view (dreary boring Holland), I would gladly give away one of my kneading gloves to have access to all the goodies in Italy (eeh..or France for that matter) hehe. Gorgeous bread by the way, nice colouring! These breads are just beautiful! I have never worked with fresh yeast but am tempted! great job! Your bread looks very tasty! yum! Oh! A baker after my own heart. Nothing like parma prosciutto with this terrific bread. Must remember that next time 🙂 Your breads are absolutely stunning. Great job. 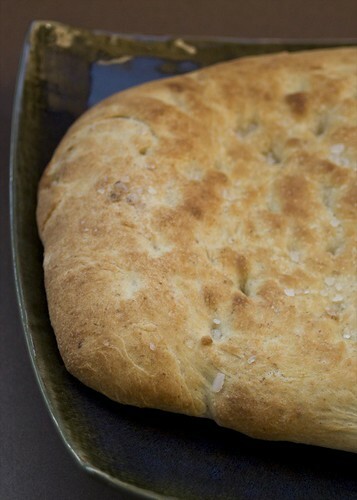 Oh, that focaccia with prosciutto makes me hungry! Yum! Your breads look gorgeous! I love that sandwich, yummy! All beautiful creations. Your post was so lovely yet simple. I really enjoyed reading it. I definitely agree–kneading dough is good for the heart and soul! Your breads look wonderful–you obviously put your heart and soul into them! Like my father before me and now the Daring Bakers around me, many of the acts of working in the kitchen — the order of mise en place, the repetition of kneading, beating and whisking and the joy of the product of my efforts — are a better form or therapy than any insurance plan can provide. The results of you therapeutic day with potatoes, flour and yeast are absolutely stunning.